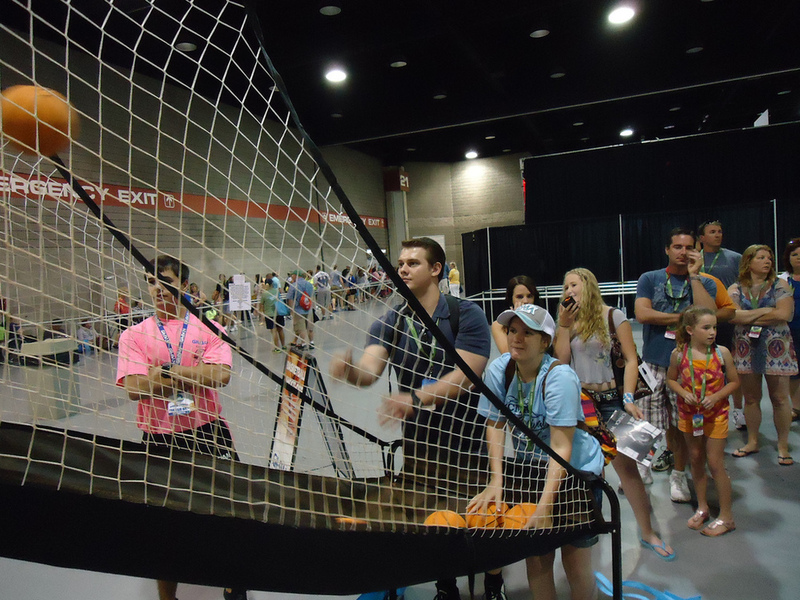 Leading activewear supplier, Gildan, teamed up with REACH to cultivate brand awareness and increase product sales by engaging thousands of CMA Music Festival patrons by creating the “Gildan Game Room” destination in Fan Fair Hall, where festival-goers were able to connect with the brand by playing entertaining games to win commemorative CMA Gildan product. In 2015, Gildan shifted their sponsorship to outside to Broadway, The CMA Festival and REACH helped Gildan connect their underwear products more intentionally with patrons by creating the “Brand Your Britches” activation where patrons could choose a country saying to have custom heatpressed on a pair of boxer briefs or bikini style ladies underwear. Gildan continued to connect with fans by giving away T-shirts, blankets and socks and providing a fun photo booth as a social share element. Over the past four years, more than 50,0000 Gildan-branded premiums have been delivered to appreciative CMA Festival patrons. The Gildan brand has gained large amounts of exposure among country fans with festival attendance leveraging 350,000 each year. REACH has assisted Gildan in meeting their goals amongst this country-loving crowd by both strengthening Gildan’s reputation and increasing their brand loyalty in the activewear market.